Mark Hanna is a consumer advocate, intersectional feminist, amateur astronomer, and science lover living in New Zealand. He writes primarily about consumer protection with a focus on the alternative health industry, but also about other topics that he finds interesting or frustrating. Matt Nolan is an economist with the forecasting team at Wellington-based Infometrics. He enjoys writing on a broad range of economic issues; however his focus is on the household sector including the labour market and consumer spending. Within Infometrics, he is responsible for forecasting the outlook for consumer spending and the labour market, and giving clients an idea of the risks around these forecasts – and what they mean for their bottom line. Michael Corballis was born and educated in New Zealand before completing his PhD in psychology at McGill University, Montreal in 1965. 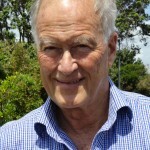 He joined the Psychology Department there in 1968, before being appointed Professor of Psychology at the University of Auckland in 1978, where he is now Emeritus Professor. He has published 11 books and over 400 articles and book chapters on such topics as cognition, memory, language, brain asymmetry, and human evolution. His most recent books are The Recursive Mind (2011), Pieces of Mind (2012), and The Wandering Mind (2013). Nancy works in communications at the Royal Society Te Apārangi. She contributes to the Infrequently Asked Questions blog. 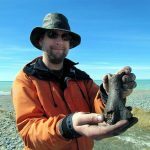 Dr Nic Rawlence is a Lecturer in Ancient DNA in the Department of Zoology at the University of Otago. He is also the Director of the Otago Palaeogenetics Laboratory. Nic did his undergraduate degree and Masters with Honours at Victoria University, and PhD at the University of Adelaide. He then worked at the University of Waikato and the University of Otago, where he established the Otago Palaeogenetics Laboratory. Nic's research focuses on using ancient DNA, palaeontology and palaeoecology to reconstruct past ecosystems, how these prehistoric ecosytems were affected by human impact and climate change, and how this knowledge can improve conservation management of New Zealand's unique biodiversity. Nic is on Twitter @nic_rawlence_nz and tweets for @Zoology_Otago.